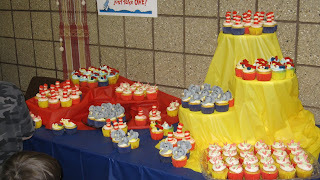 Just had to share some more pictures from our Dr. Seuss Extravaganza--these AMAZING cupcakes were handmade and donated by the mom of one of our Library Clerks. We had them hidden under a plastic tablecloth during storytime and everyone's jaw dropped when we unveiled them. 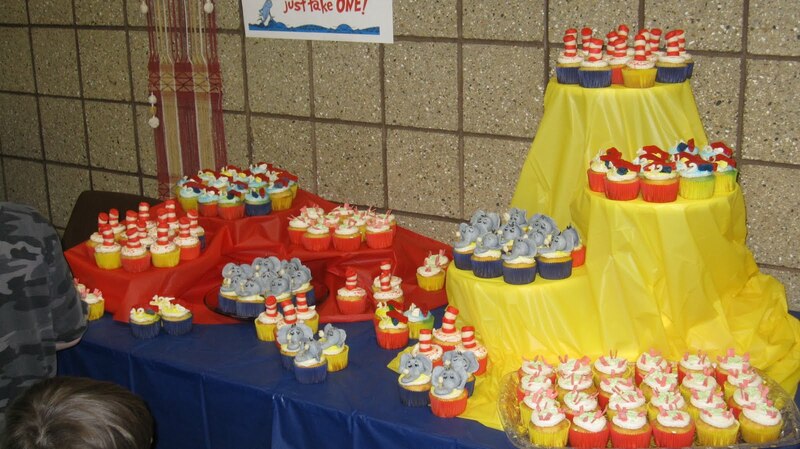 It was funny because every kid who chose the hat cupcake immediately took a big chomp off the top of the hat--which was made from homemade modeling chocolate, yum. 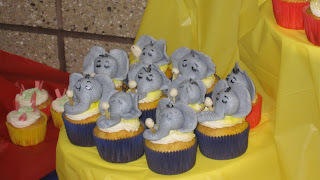 They were scrumptious AND adorable and I was so lucky to have them for the party! Our second storytime during National Library Week was a special Fire Safety Storytime where we had a real firefighter visit. This kids were very excited about this. We started the "Night Owl Storytime" on Thursday nights as part of the school district's new four-year-old-kindergarten program. I collaborate with the local Family Resource Center to offer storytime and crafts. It's nice to work with someone else on things, so I enjoy it but attendance has been pretty spotty. This was our final week for this year, and I think we'll try something different next year since attendance was so poor overall. I was a little nervous about sharing storytime with a guest since I'd never done it before and didn't really know how it would go. It was great--I guess I need to work on my sharing! 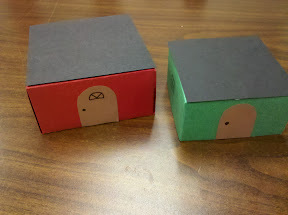 I was also concerned about attendance, but the good news is we had a nice crowd this week of 20 kids and 11 adults. I started out our normal storytime routine, and after the opening song we read Fire Engine Man by Andrea Zimmerman. 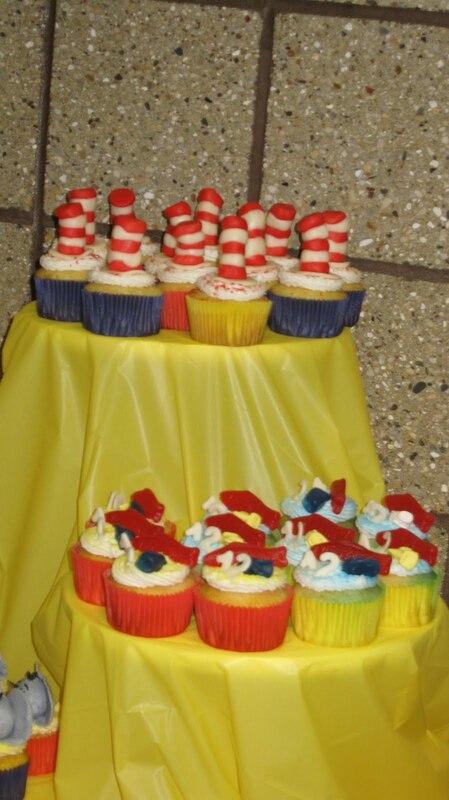 I wanted to get some energy expelled before I introduced our guest, so we sang "Dr. Seuss is on the Loose" from last week's Dr. Suess Party. From there we went right into the fingerplay, "Five Little Firemen" which can be seen here. The kids enjoy that one, although I have a hard time settling on what actions go with what part of the rhyme--I probably just need to do it more often. Firefighters! Speeding! Spraying! Saving! by Hubbel. He started telling the kids about the other part of his job (besides putting out fires), which is working on the ambulance when people get sick. Hearing the word, "sick" prompted one little girl to shout out that she had gotten sick and puked in a bucket. Our brave fireman responded that his daughter had been sick that day and threw up outside. Anyone who works with kids knows where this story is going--suddenly every kid in the room was earnestly sharing his or her best puke story! With a little redirection we transitioned into playing, "Firefighter says" which was a major hit, and a good lesson since you should always listen to what a firefighter tells you. After that we sang, "I Had a Little Turtle" and "Jonny Taps With One Hammer" before ending storytime and heading over to the craft area. 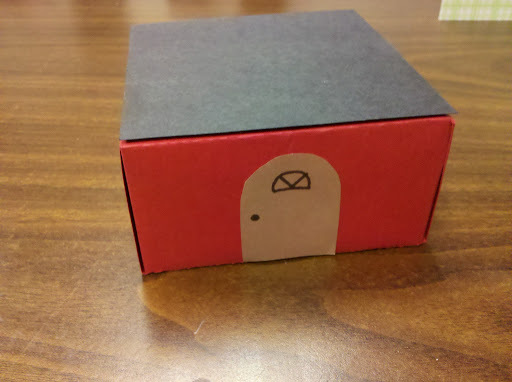 For Night Owl Storytimes, I'm not in charge of crafts so I gave the kids their hand stamps and sent them on their way! 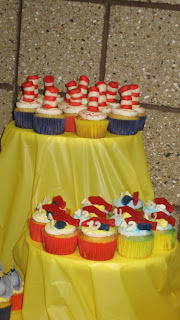 One of my big events for National Library Week was a Dr. Seuss Extravaganza! I was very excited about this one. We ended up having 41 people, pretty evenly split between kids and adults--even a couple of adults who came without kids (?!). Honestly, it was more difficult than I expected to find Dr. Seuss books that worked well for storytime--so many are MUCH longer than I remembered or just better suited overall to one-on-one reading. For example, one of my favorites from childhood is "There's a Wocket in My Pocket," but that one relies really heavily on being able to closely inspect all those crazy creatures, which doesn't work well for ST. Fortunately I got to do a test-run with our local MOPS group so I was well-prepared for today. 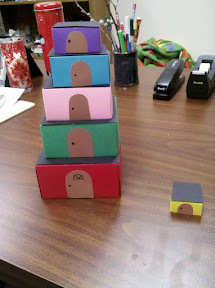 We ended up reading a portion of Green Eggs and Ham, and all of The Foot Book and Mr. Brown Can Moo! Can You? 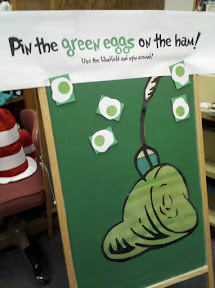 Green Eggs and Ham is just too long and repetitive for a large group, but they loved a short version of it--I really emphasized the rhymes and had the kids chime in and predict the rhymes a lot. With both groups, before I read The Foot Book I asked, "Does anyone here have feet?" And both times the group said, "No." So funny! Not sure what those little brains are thinking for that one! I liked the opportunities for foot-related rhythm movement with this book. Mr. Brown is pretty much made for storytime, with all the opportunities for sound-making, and it was a great success. 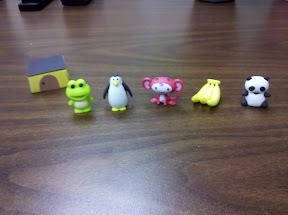 Songs and fingerplays were heavily inspired by this post from the blog Mel's Desk. 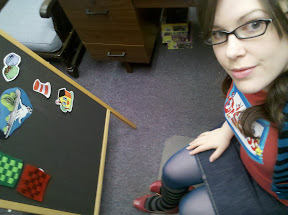 Warning: Singing "Dr. Seuss is on the Loose" as she recommends--to the tune of "Bingo"--will stay in your head for WEEKS. I printed and laminated a large picture of the Cat in the Hat, several Cat in the Hat hats, and Green Eggs and Ham and put them on the flannel board after we practiced reading the words "Cats, hats, eggs, and, ham" then when we were singing I could point to them. We also sang the song slowly at first, but then increased the speed a little bit each time until we got to crazy--always a hit with my crowd. We ran out of time and didn't get to play 'The Cat in the Hat Says...' Sad! I love playing Simon Says type games in ST, and I have a 2ft Cat in the Hat stuffy that the kids were very curious about.